Carico primario (Primary Payload): Ventesimo volo per la Stazione Spaziale Internazionale (Twentieth station flight) (12A.1), P5 Truss, SPACEHAB. 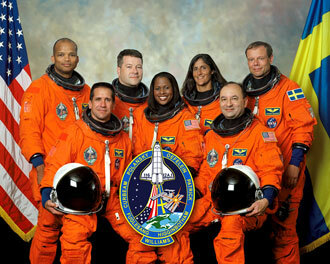 Per maggiori informazioni leggete http://spaceflight.nasa.gov/gallery/images/shuttle/sts-116/html/sts116-s-001.html. 01. Perform inspection of space shuttle reinforced carbon-carbon (RCC) and downlink sensor data for evaluation on the ground. 02. Document space shuttle tile during rendezvous with station using ISS imagery resources during the rendezvous pitch maneuver (RPM), followed by docking. (a) Transfer required oxygen to ISS (~100 pounds). (b) Transfer and return Elektron. 06. Deactivate P6 2B loads and reconfigure U.S. segment loads to receive power distribution from P4 2A and P6 EB via main bus switching units 2 and 3. This includes establishment of active cooling for channel 2/3 MBSUs and DC-to-DC converter units via external active thermal control system loop B. • Retract P6 4B solar array wing to one bay and initiate P3/P4 solar alpha rotary joint tracking. • Remove P1-3A DC-to-DC converter unit-E thermal covers. 07. Deactivate P6 4B loads and reconfigure U.S. segment loads to receive power distribution from P4 4A main buss switching unit 1 and 4. This includes establishment of active cooling for channel ¼ MBSUs/DDCUs via external active thermal control system loop A. (P6 4B channel configured to dormant/parachute mode. • Remove S1-4B and S0-4B DC-to-DC converter unit-E thermal covers. • Uplink the D1 patch to portable computer system R9. 08. Transfer critical cargo items per transfer priority list. 09. Transfer Zvezda Service Module debris panels and adapter to pressurized mating adapter-3 aft grapple fixture. 10. Relocate both Crew and Equipment Translation Aid (CETA) carts from the starboard side to the port side. (a) Perform contingency spacewalk to complete primary mission objectives. (b) Perform late inspection of Discovery’s wing leading edge and nosecap. 11. Perform minimum crew handover (12 hours) for rotating crew members. (a) Perform the Oxygen Recharge Compressor Assembly and Carbon Dioxide Removal Assembly removal and replacement and return removed hardware via shuttle. 12. Perform utilization activities to support experiments, including midodrine, ALTEA, Latent Virus, Sleep Short, and PMDIS. 13. Perform daily ISS payload status checks as required. 14. Transfer remaining cargo items per mission rules. 15. Perform external wireless instrumentation system power connections between P5 and P4. 16. Remove and replace External Television Camera Group (ETVCG) at Camera Port 3, Starboard 1 Outboard Lower. 17. Transfer the adjustable grapple bar from inside the station to the flex hose rotary coupler on external stowage platform-2. 18. Perform P6 4B final retraction and latching of the solar array blanket box. 19. Install power cables for S0 channels 1/4 2/3. 20. Perform payload operations to support STP-H2 (ANDE, MEPSI, RAFT). 22. Transfer nitrogen from the shuttle to the ISS Quest Airlock high pressure tanks. 23. Perform U.S. and Russian payload research operation tasks. 24. Perform an additional four hours of ISS crew handover (16 hours total). 25. Perform imagery survey of the ISS exterior from shuttle after undocking. 27. Reboost ISS (altitude TBD based on available shuttle propellant). 29. Perform program-approved spacewalk get-ahead tasks. The following get-ahead tasks do not fit in the existing spacewalk timelines; however, the team will be trained and ready to perform any of these tasks should the opportunity arise. • Connect P5 to P4 umbilicals (6) • Open P5 capture latch assembly (CLA) and partially close (~ 1 turn) • Remove P5 to P6 truss attachment system launch locks • Install the pump module jumper bag on the Quest Airlock • Install the vent tool extension bag on Quest 30. Perform: • Development Test Objective (DTO) 257 – Structural Dynamics Model Validation Flight Test and Supplementary Objectives Document (Internal Wireless Instrumentation System, known as IWIS, is required) • Perform ISS Structural Life Validation and Extension for the shuttle undocking (IWIS required). As with all previous Space Shuttle launches, Discovery on STS-116 will have several modes available that could be used to abort the ascent if needed due to engine failures or other systems roblems. Shuttle launch abort philosophy aims toward safe recovery of the flight crew and intact recovery of the orbiter and its paylod. ABORT-TO-ORBIT (ATO) - Partial loss of main engine thrust late enough to permit reaching a minimal 105 by 85 nautical mile orbit with orbital maneuverng system engines. TRANSATLANTIC ABORT LANDING (TAL) - Loss of one or more main engines midway through powered flight would force a landing at either Zaragoza, Spain; Moron, Spain; or Istres, France. For launch to proceed, weather conditions must be acceptable at one of these TAL sites. Early shutdown of one or more engines, and without enough energy to reach Zaragoza, would result in a pitch around and thrust back toward KSC until within gliding distance of the Shuttle Landing Facility. For launch to proceed, weather conditions must be forecast to be acceptable for a possible RTLS landing at KSC about 20 minutes after liftoff. ABORT ONCE AROUND (AOA) - An AOA is selected if the vehicle cannot achieve a viable orbit or will not have enough propellant to perform a deorbit burn, but has enough energy to circle the Earth once and land about 9i0 minutes after liftoff. LANDING - The primary landing site for Discovery on STS-116 is the Kennedy Space Center's Shuttle Landing Facility. Alternate landing sites that could be used if needed due to weather conditions or systems failures are at Edwards Air Force Bse, California, and White Sands Space Harbor, New Mexico. L'equipaggio della missione STS-116 che volerà sullo Space Shuttle Discovery è quì ripreso nella fotografia ufficiale. Da sinistra vedete gli astronauti William Oefelein (pilota), Joan Higginbotham (Specialista di Missione) e Mark Polansky (comandante della missione). Dietro potete vedere Robert Curbeam (Specialista di Missione), Nicholas Patrick (specialista di missione), Sunita Williams (ingegnere di volo) e Christer Fuglesang (specialista di missione). La missione prevede l'attracco dello space shuttle alla Stazione Spaziale Internazionale (ISS), con l'installazione del modulo P5 Truss e dello Spacehab. Nel ritorno sarà presente anche Thomas Reiter (ingegnere di volo) dell'Agenzia Spaziale Europea (ESA), il quale rientra a terra dopo la permanenza nelle Expedition 13 (nell'ultima parte) e Expedition 14 (nella parte iniziale). Cliccando l'immagine l'aprirete a 330 x 264 pixel. Di seguito riporto le schede biografiche dei sette membri dell'equipaggio, tratte dall'apposita pagina del sito internet della NASA. 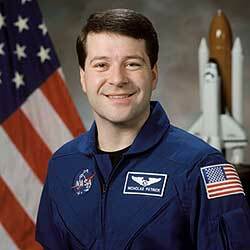 Pilota collaudatore dell'Aeronautica statunitense, Mark Polansky è il comandante dello spce shuttle STS-116, il quale effettuerà la ventesima missione all'International Space Station (ISS). A former Air Force test pilot, Mark Polansky will lead the crew of STS-116 on the 20th shuttle mission to the space station. William Oefelein, che ha fatto più di tremila ore di volo con oltre 50 aeroplani, sarà il pilota dello space shuttle nella sua prima missione nello spazio. William Oefelein, who has logged over 3,000 hours flying more than 50 aircraft, will make his first journey into space as the pilot for the STS-116 mission. 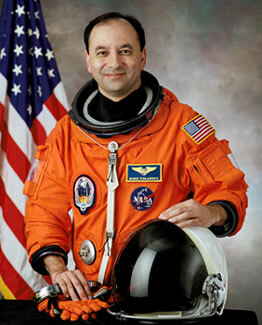 Veterano dello spazio con due voli sullo space shuttle, Robert Curbeam guiderà le tre passeggiate spaziali (EVA) assegnatigli in qualità di specialista di missione per l'STS-116. 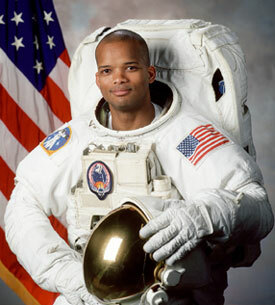 A veteran of two space shuttle flights, Robert Curbeam conducted three spacewalks before being assigned as mission specialist for STS-116. Per aiutare nella costruzione dell'International Space Station (ISS), Joan Higgibotham come primo incarico sull'STS-116 opererà col braccio robotizzato della ISS. To assist with the construction of the space station, Higginbotham's primary task on STS-116 will be to operate the station's robotic arm. Formatosi come istruttore di volo e astronauta dal 1998, Nicholas Patrick è assegnato alla STS-116 in qualità di specialista di missione. 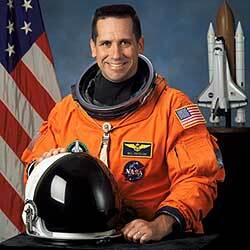 A member of the 1998 astronaut class and former flight instructor, Nicholas Patrick is assigned to STS-116 as a mission specialist. 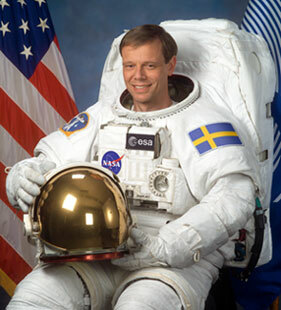 Al suo primo volo nello spazio, l'astronauta dell'Agenzia Spaziale Europea (ESA) Christer Fuglesang fa parte del personale della STS-116 in qualità di specialista di missione. E' di nazionalità svedese. On his first spaceflight, European Space Agency astronaut Christer Fuglesang joins the crew of STS-116 as a mission specialist. 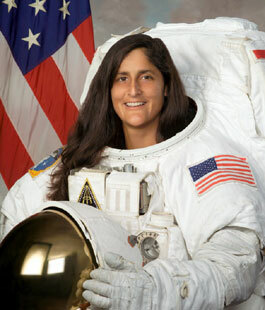 Sunita Williams fa parte dell'Expedition 14 attualmente in corso (NdR: della ISS, sostituendo Thomas Reiter), dove prenderà servizio in qualità d'ingegnere di volo dopo il volo dello space shuttle STS-116 verso la International Space Station (ISS). 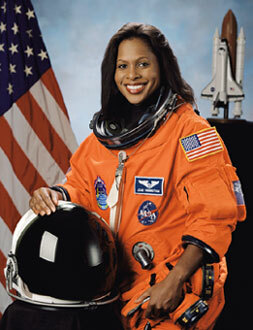 Williams will join Expedition 14 in progress and serve as a flight engineer after traveling to the station on space shuttle mission STS-116. Thomas Reiter, astronauta dell'Agenzia Spaziale Europea (ESA) e ingegnere di volo dell'Expedition 14 a bordo dell' International Space Station (ISS), ritornerà a terra con i membri dell'STS-116 in quanto ha concluso il suo turno nello spazio. 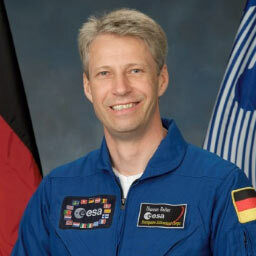 Reiter, a European Space Agency astronaut and flight engineer for Expedition 14 aboard the International Space Station, will return to Earth with the STS-116 crew.